Full disclosure: jason is an early investor in Superhuman. Jason sits down with Rahul Vohra Co-founder & CEO of Superhuman to discuss the one topic we all try to avoid: our inbox. You know the one — it has 700 emails, some of which are spam and some of which are crucial to running your business but you can’t seem to get to them. Many have come to help out with this mess (remember Mailbox?) but sadly, were gone very shortly after. Superhuman is here to stay. It is truly the fastest email experience ever made, allowing you to get through your inbox twice as fast. For some people, seeing inbox zero had never been possible until Superhuman. Why? Because nobody else was doing it. Currently, Superhuman is only available by signing up for their waitlist or being referred by an existing user. There’s a reason for that, too. Rahul tells Jason that startups tend to create their products and launch them immediately, creating two issues for themselves. The company either cannot get real feedback from their users and act on it, or the app is extremely buggy. Superhuman wants to focus on collecting feedback and perfecting the app before releasing it publicly. So what’s the secret to the Superhuman speed? The creator of Gmail, Paul Buchheit, had a rule: every interaction should be faster than 100ms. Why? Because 100ms is the threshold where interactions feel instantaneous. It’s one of the reasons Gmail feels so fast and efficient. Superhuman decided to cut that down to 50ms, and sometimes as low as 16ms. That’s faster than Chrome can even put something up on your screen! 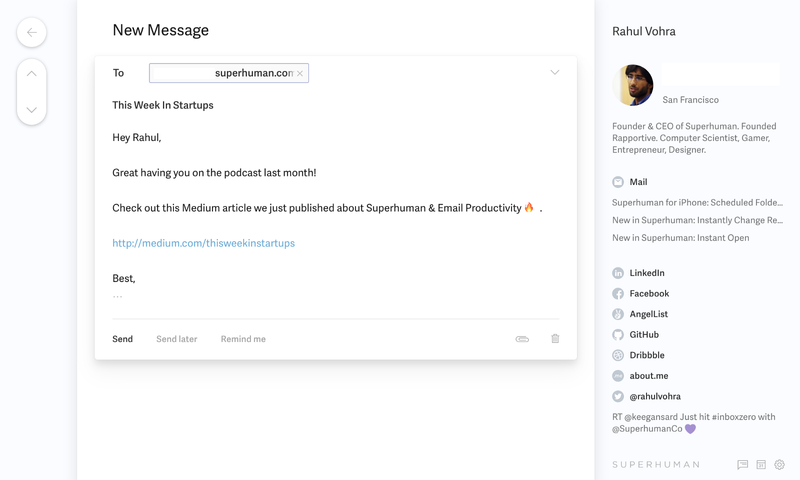 With tools like Snippets and Instant Intro, emailing has been made faster through Superhuman. Gone are the days where you would reply to an introduction email by personalizing your thank you message and moving the sender to BCC, moving the new contact as the primary sender and greeting them. All of this is done through one shortcut: [Shift + Cmd + I]. Through these and other easy-to-use tools, you can focus on answering questions, addressing issues, and actually responding to your emails. With inboxes that pile up quickly, it’s necessary to be able to filter out what is and is not a priority. Gmail does that as well through tabs like Primary, Social, Promotions, etc. The problem is that they are not always accurately filtered. Some email addresses are categorized under Promotions, but certain emails from those addresses should be in your Primary tab because perhaps you value them. With Superhuman, you can create multiple filtered tabs within your inbox by using Split Inbox. Divide your inbox by person-to-person conversations, team emails, emails containing documents, social media mentions or direct messages, and so much more. For many people, not being responsive over email is not a conscious and deliberate choice. When you’re receiving hundreds of emails, it truly can be difficult and overwhelming to maintain your inbox. However, Rahul identifies 3 deadly sins that are a byproduct of not maintaining your email, and can be detrimental for a person in a high-touch business. Whether it is feedback from a user or an interested investor, it can be easy to lose that in an inbox that has not been maintained. You never want to be in a position where you find yourself holding up your own team. For a founder particularly, it’s crucial to be reachable for your team, be it for answering questions to signing documents, and anything in-between. When you are unresponsive or unreachable for clients, investors, team members and anyone else, especially for prolonged periods of time, that is what they will associate you with. Being responsive should be a part of your personal brand. Maintaining your inbox doesn’t have to be difficult and Superhuman is proving that — better, faster, and more efficiently. Watch/listen to the full episode to learn more about Superhuman, and if you’re ready to try it out, sign up for Superhuman here! Or click to tweet this article and we’ll help you jump the 70k waitlist. 00:52 — Jason introduces Rahul , and talks about his former company Rapportive’s acquisition by LinkedIn, then about the inspiration for and origins of Superhuman. 10:31 — Jason thanks sponsor Breather. Visit breather.com/twist and get a free day. 13:39 — Rahul demonstrates Superhuman’s speed, workflow automation, filtering, more. 29:33 — Jason thanks sponsor Walker Corporate Law. 32:25 — Superhuman’s investors and fundraising strategy. 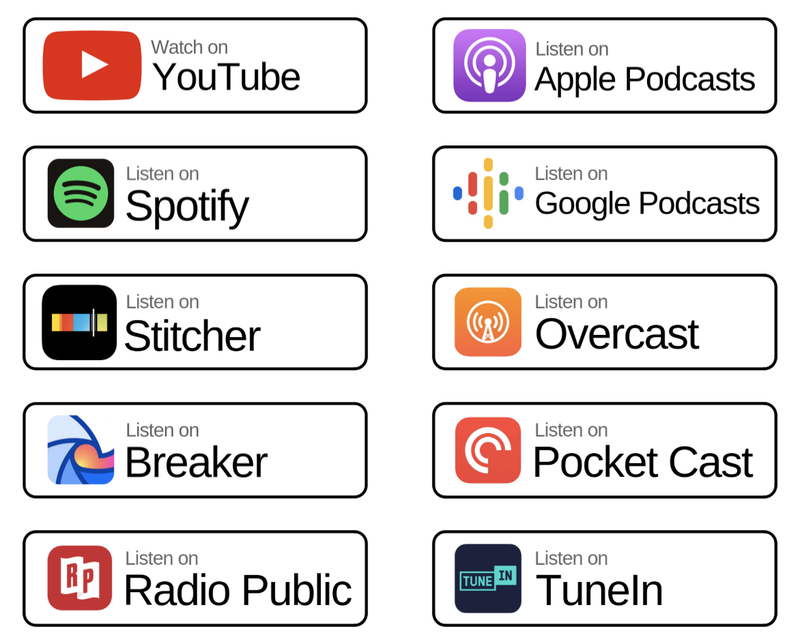 35:48 — Why people are willing to pay for Superhuman rather than G Suite. 39:16 — The standards for going public in various countries and different fundraising options. 45:52 — Jason thanks sponsor Hover. Visit hover.com/twist for 10 percent off. 48:03 — On coming changes to investor accreditation. 50:39 — Superhuman’s marketing, onboarding, feedback, and churn reduction strategies. 1:01:26 — Update cadence and new feature awareness. 1:03:35 — Hotkeys versus the mouse. 1:07:38 — Learning the behaviors of top users to train the rest. 1:10:55 — Jason and Rahul talk about the purpose of limited access. 1:14:11 — Apple software issues and Chromebooks. This show is your MBA. Part of the @LAUNCH family. Fanmail? @jason. Hatemail? producer @jacqkd Tuesdays and Fridays at 1pm Pacific.